You can steal and burn money many different ways. Leaders of financial firms use a conservative bias with money they lend to protect society’s most precious asset: Savings accumulated through blood, sweat, tears — sacrifice. Unless you live in interesting times. What was sacred is profane. We have and do live in interesting times. The basic rules of lending were banned in the credit bubble. Sacrifice was a joke. Money was easy. Now we have the aftermath of the crisis. It is only beginning. 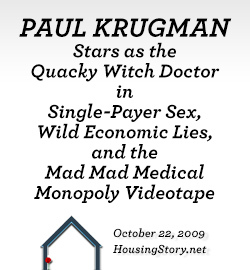 The most notorious method for stealing burning squandering money in our real-estate-and-mortgage bubble was something called stated-income loans. The popular term now is liar loans. What does that mean? For the person who can’t believe fraud could be committed on a grand scale, who believes the world works according to right and wrong, the truth is stark and simple: Originating banks allowed borrowers to say or to “state” or to lie about their income and no proof was required to back up what was said or “stated” or lied about. You could lie about your income to take out a new mortgage and the bank never checked to see if what you said was true or false. The Mortgage Asset Research Institute referred to a study that found 60 percent of applicants who used stated income exaggerated what they earned by more than 50%. 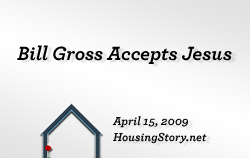 They verified this fraud when mortgage application statements about income were checked against IRS records on income reported to the federal government. Loan officers were the grand facilitators and front-line perpetrators of this fraud. On a refinance, the loan officer simply looked at a particular borrowers credit report, added up the debt payments on credit cards, car loans, and mortgages, and created an income figure which made the debts affordable including the new mortgage. A purchase worked exactly the same way. 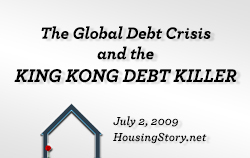 The income was a derivative of the amount the borrower wanted to spend to buy their new home. Many borrowers were not innocent, but other borrowers were playing on a field where they had no experience. They could easily be lead to believe in the acceptability of this criminal fraud. There is no question about what these mortgages are. Individuals borrowing money fabricated the amount of their income. The banks required no verification of the statements about income. By that action banks encouraged the fraud. If this failure to verify factual statements is acted out on a grand scale, then the bank is the leader and creator of the fraud. If stated-income mortgages were created by bank policy overseen and approved by top management, then those managers and overseers are the leading criminals in the conspiracy. With stated-income loans, the banks did not ask for supporting documents like W2 forms and pay checks. They did not verify statements about income against what was reported to the IRS. Yet the first job of a bank in lending is to check the supporting documents. If you borrow money, you need income to pay it back. The first job of a bank is to check to see if you have income to pay the borrowed money back. If you eliminate the verification of income for a mortgage borrower, you eliminate your ability to predict the likelihood of repayment. The reason this phenomenon rises to the level of a high crime is that a huge number of these mortgages were originated. Stated-income mortgage fraud was not an isolated crime. It was done countrywide, so to speak. A report from the Mortgage Brokers Association for Responsible Lending said 37% of non-agency (subprime) loans securitized in 2005 required no documentation of statements about income made in the mortgage application. I worked in the subprime units at Countrywide and Wells Fargo during the bubble years (2004 to 2007). I saw this phenomenon first hand. To pretend that there is anything mysterious or unknown about the methodology of these loans is simply to add a lie on top of a lie on top of a lie. Following civil charges being filed against Goldman Sachs, what is clear now is that the crime of stated-income mortgages deserves to be explored fully by criminal prosecutors. 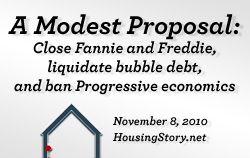 The top management of leading originators and securitizers of stated-income mortgages should face criminal charges. While they may say that they didn’t understand the fraud which was committed, there is no question they led these organizations. There is no question complicity within management was required. 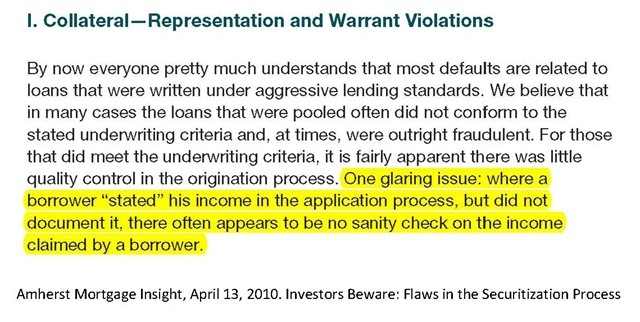 Loan officers acted recklessly and dishonestly and criminally, as did borrowers, but neither loan officers nor borrowers decide that supporting documents verifying statements about income are unnecessary. That’s a management decision. That we have gone so far in the financial crisis without this basic work being done testifies to the farcical nature and grandiose ineptitude of regulators, prosecutors, politicians, and especially the media. It’s truly a carnival of stupidity. Right and wrong are unknowable because they are too simple to understand. The biggest names at the biggest commercial banks and investment banks deserve fire, hatred, condemnation. 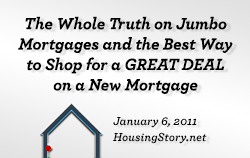 Prosecute the criminal act of encouraging false statements of income on mortgage applications. The factory-like creation of stated-income mortgages lies in a central place of perhaps the most destructive fraud in world history. ‘Tis a consummation devoutly to be wished on no country or people, yet it has been done here and to us. The poison is in our economy. It is suicidal. It is criminal. There is no question. Property Down 30 Percent. 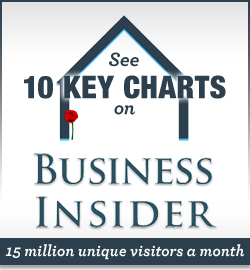 Mortgages Down 2 Percent. Everything Which Diverges Must Collapse. Glad to see that that you are joining the rising chorus of outrage, along with William K. Black, L. Randall Wray, Janet Tavakoli, Yves Smith, and many other in the blogosphere throwing your shoulder behind this addressing this the way it should be addressed. Hopefully, the media will be embarrassed into picking it up eventually. As Prof. Black points out, over a thousand people were successfully prosecuted during the aftermath of the S&L scandal and the Keating Five were brought on the carpet in the Senate for their role in facilitating it. This time? We are still waiting. Let’s be serious here. These are the criminals that own the government. There may be a fig leaf prosecution to take the heat off, but nothing serious. I don’t think anything will change until/unless there are literally bankers and politicians hanging from lampposts. OH, BY THE WAY… AFTER BELIEVING WELLS FARGO’S PURE, UNADULTERATED LIES… THAT THEY WERE WORKING ON A LOAN MODIFICATION FOR ME, JUST WAIT TO HEAR BACK… FOR SEVEN MONTHS!!!!!!!!!! I JUST GOT A LETTER DENYING ME… AT THREE WEEKS BEFORE MY HOME IS FORECLOSED ON!!!!!!!!!!!!!!!!!!!!!!!!!!!!!!!!!!!!!!!!!!!!!!!!!!!!!!!!!!!!!!!!!!!!!!!!!!!!!!!!!!!!!!!!!!!!!! YES, THEY DESERVE TO DIE, DIE, DIE, DIE, DIE!!!!!!!!!!!!!!!!!!!!!!!!!!!!!!!!!!!!!!!!!!!!!!!!!!!!!!!!!!!!!!! I WOULD LOVE TO DO IT MYSELF, BUT… IIIIIIIIIIIIIIIIIIII’D EEEEEEEEEEEEEEEEEND UUUUUUUUUUUUP INNNNNNNNNNNNNN JAILLLLLLLLLLLLLLL!!!!!!!!!!!!!!!!!!!!!!!!!!!! DEATH TO WELLS FARGO EXECS!!!!!!!!!! MAYBE THAT WILL GET THEIR ATTENTION!!!!!!! NOPE, UNLIKE US, THEY HAVE THE MONEY TO PROTECT THEMSELVES AGAINST US!!!!!!!! FIRST TORTURE-THEN JAIL… FOR LIFE… PLUS TEN-TWENTY BILLION -FOR EVERY DOLLAR THEY STOLE (OR WERE GIVEN BY OUR GOVERNMENT AS A REWARD) FOR RUINING OUR ECONOMY AND MAKING MILLIONS HOMELESS AND DESTITUTE!!! BUT NO, NO, NO… OUR GOVERNMENT (NOT MINE ANY MORE!) REWARDS THEM!!! GOD HELP US ALL… REVOLUTION ANYONE????????????? no comment other than disgust for the financial systems that are stealing homes and the middle class has no recourse to fight back. In 1998 the FDIC issued a set of guidelines for member banks on certain CDOs. In a few words the guidelines said that CDOs were on their radar screen because financial institutions weren’t always playing fair when they got FDIC-backed banks involved in the financial train. Again, this memo was issued in 1998. Fast forward to mid aughts and you have financial institutions pushing CDO instruments like a crack dealer pushing his wares in a police free zone. They were able to do this because Alan Greenspan had pretty much given them the keys to the kingdom (essentially free money coupled with his personal blessing on what they were doing). These guys knew that they were playing with fire, but they also knew they could always depend on the Fed (cheap money) and the federal government (a culture of bailouts) to keep the money flowing. 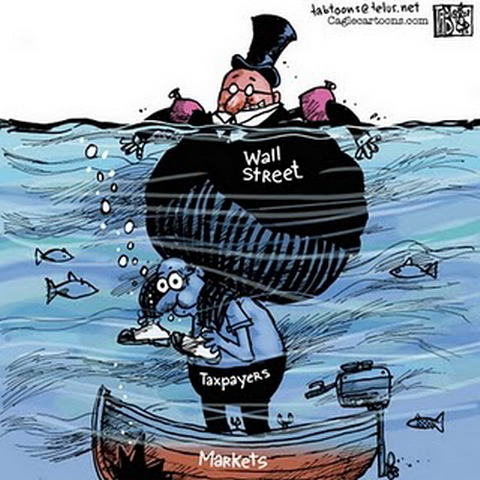 With No Doc/NINJA loans being dumped on the laps of other institutions (pension funds, FDIC-backed institutions, etc.) why should the originators care? So, I agree with you Michael. But I think we should take it one step further. I say we bring criminal conspiracy and RICO statute to the table (1970, Racketeer Influenced & Corrupt Organizations Act; inspired by the Mob). What’s key here is conspiratorial “intent.” Dumping dubious securities on others had been going on since 1998, so knowledge of market conditions helps to establish motive … i.e. if you know that you won’t have to deal with the aftermath, why not act like the neighborhood crack dealer? Loan originators knew what they were peddling would get bundled up and dumped somewhere else. And if they didn’t know what they were doing, then by bringing charges we at least get to publicly shame people for being criminally negligent and/or professionally incompetent. I’ll comment on this on my blog later in the day. I couldn’t agree more with you. If there are no consequences, then it is human nature to keep doing whatever you can get away with. That’s true for bankers and most everyone else. There are few exceptions, but not everyone can be a saint. There are always eager young fools ready to borrow and bid against each other, driving up the price of something they desire beyond the true value. And clever bankers willing to lend other peoples money to them and take a commission. When that stops working the bankers sell real guns to both sides. Isn’t it sad that this is the best use they can find for our young. What I hardly ever see mentioned is the built-in fraudulent nature of all these “financial products.” In short, debt can not be collateral for more debt. Period. Economics 101 here. All these products should be illegal, the sellers put in jail, all the “profits” returned to the taxpayer – retroactive to the mid-eighties (when these things really took off), and the licenses of the selling firms yanked. Certainly those in the indusry knew that these practices were extremely risky and many times illegal. So did govt regulators and Alan Greenspan. I don’t know whether to laugh or cry at the articles now that are coming out in proliferation, saying so-and-so predicted the crash in 2006, or Greenspan’s statement a few yrs ago that “no one could’ve seen it coming.” For starters, a lot of people saw it coming, and a lot earlier than 2006. 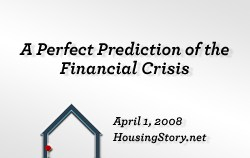 By 2005 I knew prices had about topped out, and the foreclosures were going to begin. I too advantage of an offer to buy my house and sold, and found a nice rental for less money. Almost overnight prices began to drop, builders’ model homes said “price reduced!” then a few weeks later, still unsold, said “for rent.” A courthouse clerk I met said foreclosure filings had more than doubled. The legal notices in the local business paper soon showed it had probably doubled again and maybe more, in the next couple of years. I knew this was coming because I had my eyes open and wasn’t swayed by industry hype. My news and info didn’t just come from the network TV stations, I did research. Read govt documents, blogs, alternative news, got out there and looked at what was going on. Shoddy new houses being slapped up and sold for ludicrous prices with toxic loans that the builders originated and quickly sold. Aggressive real estate campaigns telling everyone a house was an investment–‘buy now or be priced out forever!’ The loans were a joke; I knew few could repay them. People were being told–and still are!–that they can afford about twice the house they can. How much of a dummy do you have to be to not see that is going to end badly? 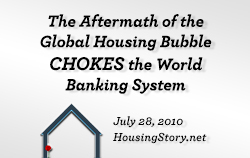 The sad thing is, the govt stood by and let it happen and the media ignored the truth in favor of real estate shills. The whole lot of them took out the economy and many should go to jail. Blaming consumers is pointless; if they were foolish that’s not illegal and they’ll pay the price for their foolishness, in foreclosure and ruined credit. But we need to make the CRIMINALS who masterminded these complex loans and investments and got corporate welfare to boot, held accountable. Jail. Do not let them pay fines or play dumb. Put them in jail. The fraud case is very likely to turn on what disclosure the originator made to the bond investors or ratings organizations. First, the transaction between the borrower and the originator is unlikely to be viewed as fradulent, regardless of the magnitude of the income lie imbedded in the application and approval documents. The borrower knows that the income is inaccurate and if the lender also knows, or makes it plain that they are not seeking to verify it, thn that transaction is almost certainly not fraudlent – stupid, yes. But if the lender then securitizes the mortgage without clearly disclosing that they either know the income supporting it is overstated or that they did not verify it, but securitization is likely fradulent. As to whether or not the borrower committed fraud, once-removed, relative to the securitization of their loan is an interesting question. Probably not is the consensus, but if they produced false documentation to “prove” their state income and signed waivers allowing the documentation to be used in the re-sale of the mortgage (this is very normal practice), then they may have a problem. This is an excellent treatment for a complex subject. Now what we nead to do is to get people to READ IT! There were many many opportunities for others in the process of buying real estate to blow the whistle about Alt-A Liar’s loans. But they remained silent, as long as they could get their 6% commission checks for starter cheeseboxes that had prices bid above the stratosphere. 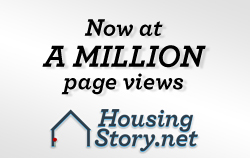 These people were not buying houses. They were buying low interest loans, many with cash back at closing, so they could by that Escalade when they couldn’t afford a motor scooter. I like the part when an unemployed man with a string vest would “buy” a shack with no money down….while all the bankers and Realtors get paid bonuses. NO underwriting as the phoney loan becomes a “structured investment vehicle”.